The ‘reach outs’ in the context of the theoretical studies aims at testing our prototypes and speculations against the opinions of experts from crucially connected research fields. We seek for ‘experts’ that can form a valuable contribution and inspiration for the project. 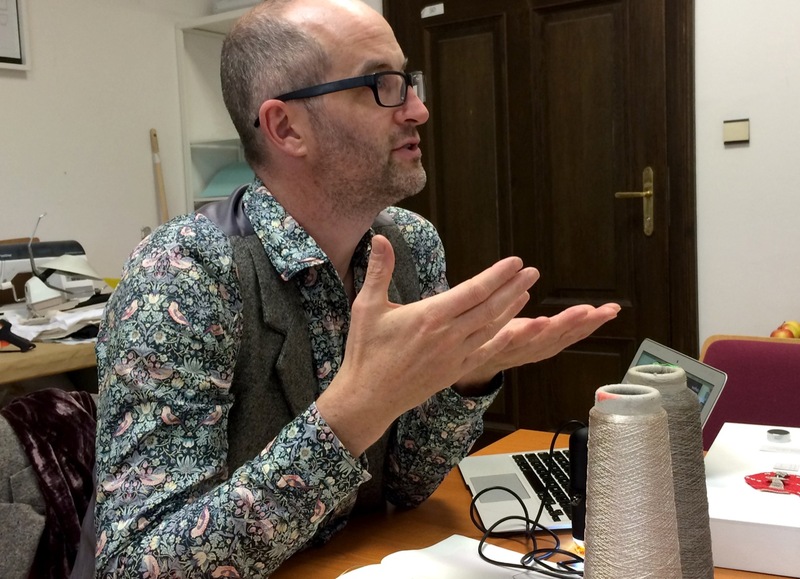 Mark Miodownik in the Stitching Worlds Studio. The discussion focused on the core questions and recent investigations of the projects, specifically Magnetic Fibers and Crafted Logic. In the scope of this exchange we are interested to deepen the understanding of materials and their properties, the history of the materials we use, as well as the history of their manufacture processes. A guiding question is how far in history our crafted technologies could have been built.